Phil Ebiner is passionate about inspiring people through online courses, of which 100,000 students have taken since 2012. He graduated with a Bachelor's Degree in Film and Television Production from Loyola Marymount University, Los Angeles. Over the past 5 years, he has shot and edited thousands of videos that have played everywhere from the movie screen and television to film festivals and YouTube. For more details on the course and instructor, click here. This course is hosted by StackSkills, the premier eLearning destination for discovering top-shelf courses on everything from coding—to business—to fitness, and beyond! Who says you need pricey equipment to craft amazing videos? 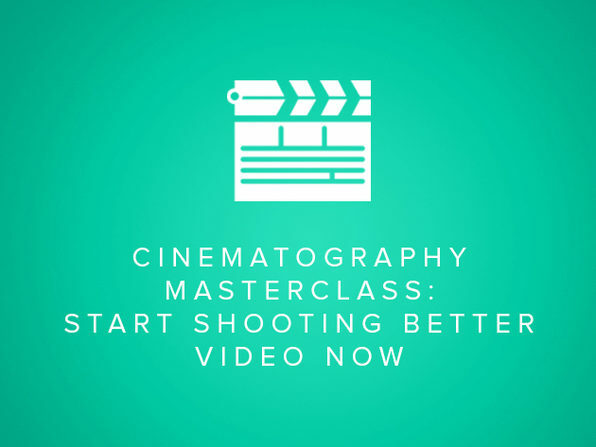 Tap into the potential of your DSLR as a video recording dynamo with this in-depth course. You'll start with the basics of navigating your camera settings, then learn to set up great shot composition, accrue the right equipment, effectively light your shots, and much more. Learn video composition basics: the rule of thirds, close-up shots, etc. Get the equipment you need: camera body, lenses, tripods, etc. Record crystal-clear audio: utilize lapel & boom mics, reduce background noise, etc. 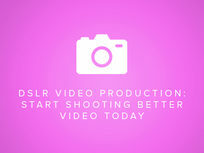 Master video editing on a DSLR: edit a montage, ingest video, create sequences, etc. Introduction to Section - What camera will I be teaching with? If you want to shoot great films, or any video footage for that matter, crafting well-executed cinematography is a must. Learn everything from selecting the right equipment to effectively lighting your shots, master cinematography in no time, and capture amazing video no matter the device by course's end. 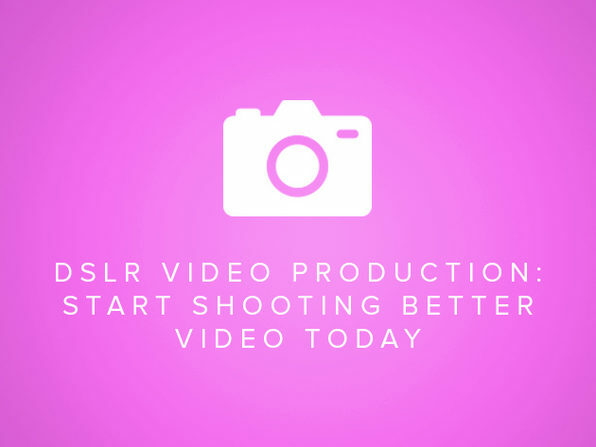 Shoot stunning video no matter your equipment of choice: DSLR, GoPro, iPhone, etc. 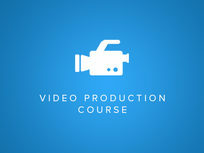 Learn the fundamentals: choosing between a digital or film camera, understanding how resolution & frame rate work, etc. Lighting Demonstration - What can lighting say? Whether you're looking to be a YouTube guru or conducting a seminar via livestream, you should know how to create and upload online video. 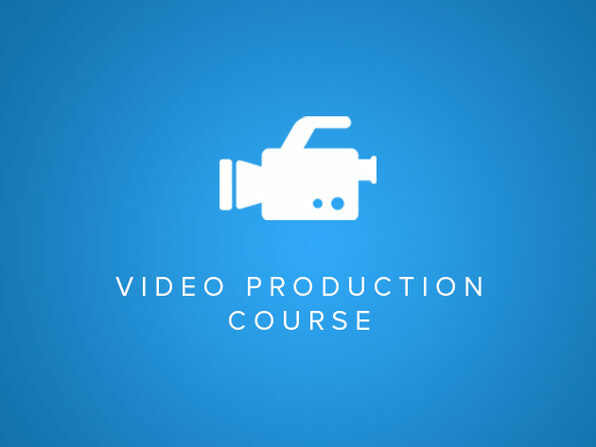 From setting up your lighting to mastering use of screencasting and recording programs such as Camtasia Studio and Final Cut Pro X, you'll learn all you need to become an online video pro. Understand what video production hardware & software you need: the right computer, lighting setup, green screen, etc. Jerry Banfield has been an online entrepreneur since 2011, having served hundreds of clients in over 20 countries and managed billions of Facebook ads. He has learned how to drive large amounts of organic Google and YouTube traffic to his website, and teaches online courses sharing his experience with students worldwide. A member of the MENSA society, Jerry holds degrees from the University of South Carolina and the University of South Florida. For more details on the course and instructor, click here. This course is hosted by StackSkills, the premier eLearning destination for discovering top-shelf courses on everything from coding—to business—to fitness, and beyond! Making videos online has been a miracle for my professional life. Thank you for taking the course! How can you get a fast start now? Why take the time to learn and produce videos? This course will give you what you put into it. Different types of videos I make including talking head and screen capture. Your Hardware and Software define your video production experience. Getting my equipment working well has taken more than a year and $10,000. Choosing a few good microphones. What type of computer works for filming best? Having two computers can make things easier. I like to have the option to stand or sit without changing anything. My standing desk using a shelving unit for under $100. Lighting setup simply with clip on lamps and studio lighting for under $100. A backdrop will make you look much more professional for under $100. Using a green screen for combined talking head and screen capture videos. 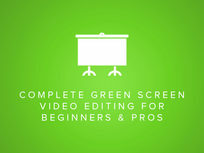 Camtasia Studio (Windows) for screen capture video tutorials on Windows. Introduction to Camtasia Studio on Windows. How to record in Camtasia Studio 8. How to import videos for editing in Camtasia Studio. Basic editing functions in Camtasia Studio. Exporting options to render your video in Camtasia Studio. Camtasia 2 on Mac for recording screen capture video tutorials. Introduction to Camtasia 2 on iMac. How to record in Camtasia 2. Basic editing functions in Camtasia 2. How to import a video already recorded for editing in Camtasia 2. Exporting options to render your video in Camtasia 2. Advanced exporting options for rendering in more formats besides MP4. 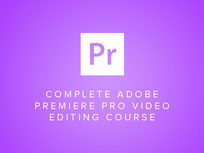 Final Cut Pro X (Mac) for Long YouTube Video Tutorials and Talking Head Videos. Introduction to Final Cut Pro X. Importing your talking head videos live in Final Cut Pro X. Importing a video you already recorded into Final Cut Pro X. Other ways to record live in Final Cut Pro X. Basic editing functions in Final Cut Pro X. Final Cut Pro X has great audio editing options. Adding graphics your videos is fairly simple in Final Cut Pro X. You can add text a lot of different ways in Final Cut Pro X. Exporting options to render your video in Final Cut Pro X. Send to compressor for long rendering jobs and multiple videos. Wirecast for streaming and green screen combination talking head/screencapture. What is live streaming and why do it? How my live stream looks on YouTube and Twitch. What hardware can you use to start cheap and what do I use? Which version of Wirecast I use and what you might want to use? Introduction to Wirecast and how to save your production setup. Setting up your sources to input video into Wirecast. 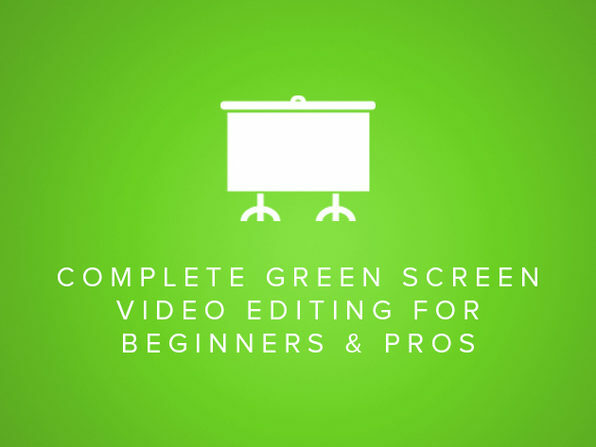 Setting up your picture, editing your shot, and using a green screen. Setting up your output to stream live to YouTube and Twitch. Screen capture another computer and record to disk with Wirecast. Streaming live to YouTube and Twitch successfully. This course will walk you through the entire filmmaking process for three award-winning indie films. From casting to choreography to audio and visual editing, you'll learn valuable takeaways applicable to your own filmmaking aspirations. Best of all? You're receiving top-notch film instruction while spending a fraction of the time and money required of a formal film school education. 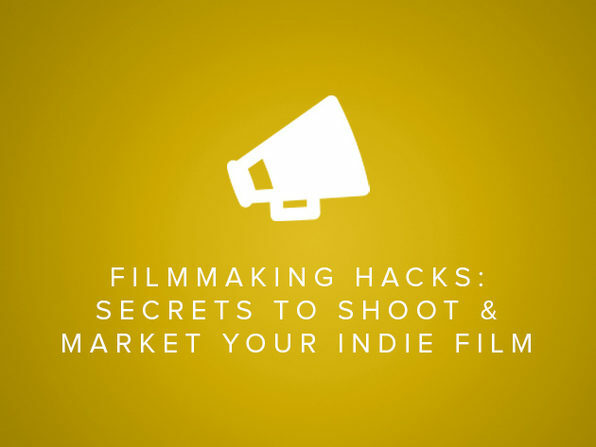 Learn pre-production essentials: rehearsing w/ actors, crafting your film's look, casting, etc. Understand post-production essentials: color correction, title sequencing, etc. Alex Ferrari has been in the film industry for over 20 years, and has worked on over 1000 feature films, shorts, commercials, music videos, network promos, documentaries and webisodes. His personal films have been screened in 600+ film festivals around the world. He also runs Indie Film Hustle, a website offering instruction on how to survive and thrive in the film business. Alex has worked with Academy Award and Sundance winners, as well as beginning film students eager to learn from his expertise. For more details on the course and instructor, click here. This course is hosted by StackSkills, the premier eLearning destination for discovering top-shelf courses on everything from coding—to business—to fitness, and beyond! Cyn: Making of a One Week Short! Do I Need to Move to Los Angeles to Make it in Hollywood? 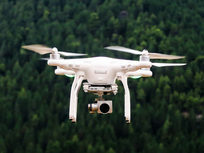 GoPro cameras may have made it easier than ever for users to shoot action video, but this course will teach you key principles to truly elevate your footage. 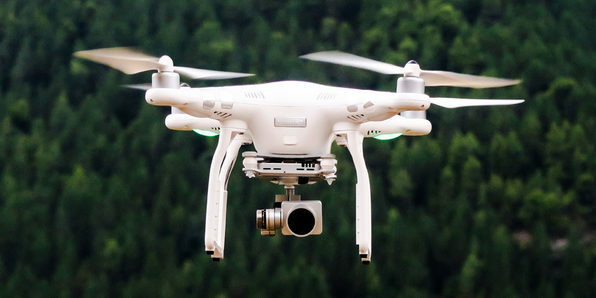 From shooting on your GoPro's manual mode to polishing your video in post-production, you'll become adept at capturing and sharing your adventures hitting the trails, surfing, and more. Use GoPro Studio to edit video: add titles & music, export your video, etc. GoPro Camera Anatomy - What are all these buttons? 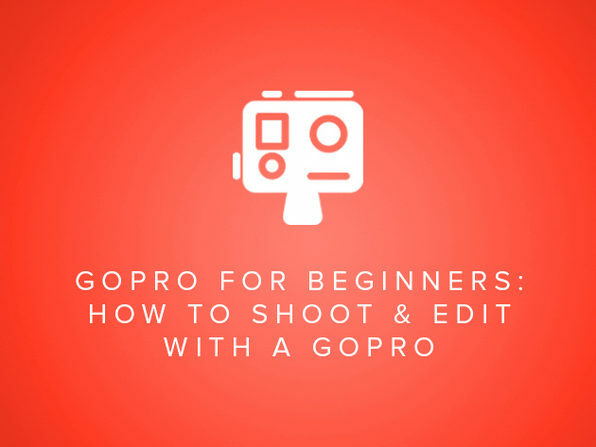 Exercise - Edit a Video with GoPro Studio! Think of the words "green screen," and you may envision a complex (and expensive) filmmaking setup. But that's not necessarily the case. As you'll quickly learn, green screens are a highly effective way of implementing special effects in smaller scale projects in addition to big-budget productions. 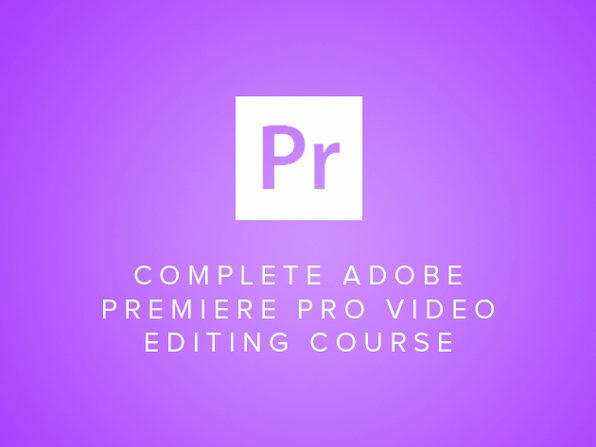 You'll learn the basics of using Adobe Premiere Pro and other popular video editing programs, mastering best practices for creating films with truly impressive visual effects. Master advanced green screen editing techniques: create a driving scene, enhance your workflow, etc.